When reviewing old school video games I like to do it as if I am reviewing fine wines and vintage ones at that. Some vintage games age very well and sometimes even get better with age. Games like Super Mario Brothers 3, Street Fighter 2, Sonic the Hedgehog, Tetris, Resident Evil 2, GTA Vice City and so on. 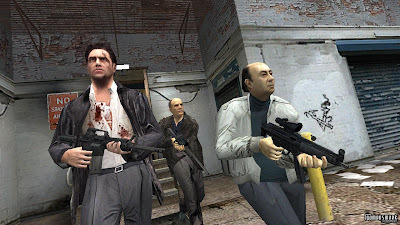 The first Max Payne game is also a game which has aged very well and is an undisputed classic shooter, which was very innovative and a blast to play. However Max Paynes 2003 sequel was no where near on par. This statement may make fans of the series burst in to fits of rage but please hear me out. 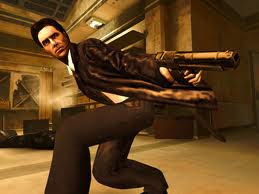 I bought the original Max Payne for the PC when it was released in 2001 and thoroughly enjoyed playing through it. Yeah there were parts of the game which sucked like dodgy plat-forming and horrendous dream sequences that went on for far too long, but I let that pass as this was a new ground breaking video game. With the upcoming release of Max Payne 3 I decided to play through the second game as I had never done so before. I was expecting a much greater game than the first which would add new elements and remove the ones which were detrimental to its predecessor. When I started to play through the first few levels I was enjoying it and then disaster struck. It seems that not only have Rockstar left the annoyances of the first game in this latest outing but have even added a few more. The horrendous plat-forming (which really harmed the first game) has returned yet again. Max can only jump like 1 feet in the air and with the tiniest of tickles to the analog stick you will be plummeting constantly to your doom.. unless you saved. The saving option in this game is horrendous also. In the first game there were autosave check points but no option to save when ever you like. In this outing the autosave check points are gone and manual saving is the way to do it. So if you have blasted away through a large part of the story untouched and then you fall to your doom, unless you have saved you will have to start from the beginning. Also during one point of the game saving actually rendered my game un-winnable where I had saved the game just as I was about to walk into a trap. I had to start over and use multiple save states to progress through the game and found myself having to constantly save all the time which really spoiled the flow of the game. The games graphics are top notch for 2003 standards and yeah a lot of the enemies all look the same but thats nothing to moan about really. The sound however is a very lazy effort as 90% of the sounds in the game have just been re-used from the first game. Every person dies with the same annoying ouch and for a game this recent it is a pathetic effort. Even Wolfenstein 3d had more death cries than this! One good thing is that the annoying dream sequences from the first game have been removed which was something I was pleased about. The games story line starts off good but nose dives from there to a conclusion which really does not give the game or the series any decent closure like the first game did. After completion you kinda feel like you shouldnt have even bothered in the first place. When the game was originally released it was reviewed 9.4 by one of the biggest gaming websites. Playing this game almost 10 years later it really seems like more of a chore than a gem. This game has not aged well what so-ever and yeah I will play the next game in this series when it comes out but this one sucked.